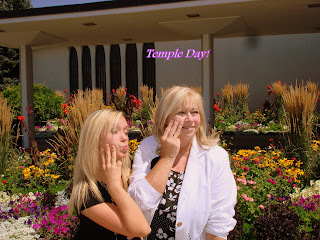 The Mauzy Family: Temple Day! Me and my parents went to the temple and it was awesome! This is me and my mom doing the "3 fingers". My mom always use to do this to us when we were performing or anything like that to say "I LOVE YOU" We did this and sent it to Trevor.